WiggleWorksKids | Cascade e-Commerce Solutions, Inc.
WiggleWorksKids’ original site was not responsive, had Mystery Meat Navigation, and had little content with no apparent keyword optimization for search engines. The website was also too generic and colorless to be noticeable enough for a kids website. 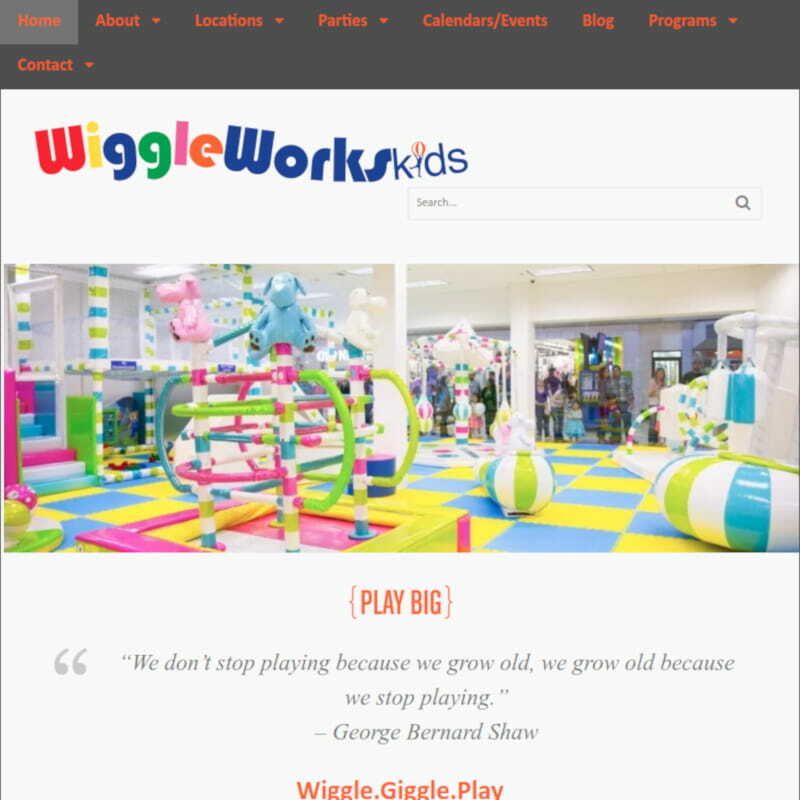 WiggleWorksKids’ needed a website that represented the kind of childlike fun the facility provides to encourage people to come. We made the website use a variety of primary colors in choice places so that the website would feel fun and inviting. However, so that it was not too distracting or hard to understand, most of the website is limited to white, black, and orange. We also performed keyword research and drafted more content to make the website fuller and more useful for people, as well as improving the website's search engine ranking. A month after we started our new design WiggleWorksKids’ new website's number of unique visitors rose to twelve times as many.